MediNail’s OnychoTest allows clients to determine if their nails have fungal or bacterial infections. Users can test their nails to identify fungal and bacterial organisms or precursors to any infection. The test can also find suspicious nail bed melanoma cancers. 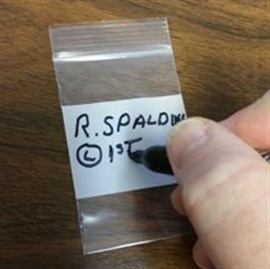 Submitting nail samples on behalf of your client is outside the scope of a nail tech, but you can sell the kit directly to the client, who will perform the test herself, send the results in, and receive her lab results within two to three weeks. About 35 million Americans have infectious nail fungus, according to MediNail, and the company believes that this test may be able to reduce that number. For more information, go to www.onychotest.com.